I once read that the criteria for an ideal place to live include such things as whether a grocery store and dry cleaners are nearby. Other criteria were how easy it was to walk to one’s errands or how the medical services were, how many coffee shops there were as well as bookstores within that walking orbital. I have thought about these things a lot, and by any standard I am fortunate, especially when it comes to bookshops, as I gave up coffee drinking more than a year ago. I mostly like perusing poetry books, even though I am primarily known as a prose writer. If nothing else, my love of poetry makes me a much better prose writer. But when I go to a bookshop, poetry is the first thing I look at. Five minutes’ walk from where I am, there is a Barnes and Noble, not great, but their poetry section is decent enough. It once was very good, several years ago, but then there was the Attrition, and I’m sure the clerk who stocked the poetry was shitcanned, as the poetry went into a tailspin. It went from being one of the best poetry sections in a bookshop to one of the worst. In the past few years, it has improved, but it’s still nothing like its former self. In London, I go to Foyles’ on Charing Cross Road at least once a week, usually on a Wednesday when I am in the area of St. Giles, just an alley away from Foyles’. Their poetry section is sublime, but even that illustrious collection of poetry has diminished in recent times. I don’t want to complain too much, though, because it might disappear completely. When I peruse the books, it is with the idea of buying one; I am a supporter of poetry, especially new works. I am someone who gives his poetry books away often enough, especially when I’m very enthusiastic about a writer, then I want to share this enthusiasm with everyone. As to having a paradigm of a bookshop, it remains, in my mind, the old 8th Street Bookshop in Greenwich Village, from a bygone era when I worked there. Back in the 1960s, there were other bookshops that also had great poetry sections, including the Cornelia Street Bookshop and the Gotham Bookmart, the latter in the Diamond District in the 40s uptown, the former just off Bleecker Street in the Village. Beyond New York, I remember City Lights in the North Beach of San Francisco being a great bookshop, in fact, that whole area was terrific, coffeehouses everywhere, and some of the best jazz clubs too. Poetry was given a high place at the cultural table in San Francisco in those days. The last of these iconic bookshops from when I was younger is the Grolier in Cambridge, Massachusetts. It is hard to describe the feeling I had when I first entered that shop in which all the books were poetry or about poetry or by poets. 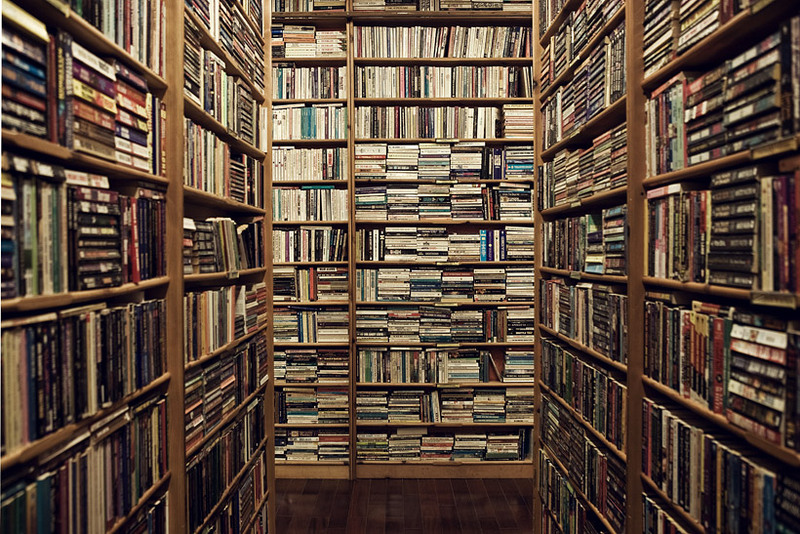 There were no bestsellers, no how-to books, no psychology books to improve your life. In Evanston, I loved visiting Bookman’s Alley. Besides the books, it was laid out like a museum, and as you entered a section of the store, the books were surrounded by artifacts and art objects, chachkas and other memorabilia associated with the topic at hand. In the Western section, you found cowboy hats and saddles, and in the American Indian section, there was a cupboard overflowing with Native American artifacts, headdresses, buckskins, bows and arrows, moccasins, and spirit objects. But the poetry section was outdated, and now the bookshop is closed, the owner too tired and old to carry on. Still, there are other used-book shops in Evanston, including Squeeze Box, Amaranth, and Howard’s, to name a few, all of which I visit regularly, all very good, with friendly, knowledgeable staff. I have found wonderful things in Howard’s, including a great two-volume Oxford English dictionary for seven dollars, books of essays, criticism, and novels. At Squeeze Box, Tim, the owner, is a fountainhead of information about everything book and album, and I’ve purchased a whole set of early Evergreen Reviews as well as an incomplete but nonetheless lovely set of Dickens’ prose. But when I want to read poetry books, I go to Amaranth, which has produced some brilliant finds over the past year or two. About a year ago, I found a first-edition hardcover of William Carlos Williams’ Autobiography (1951), which originally was published by Random House. More recently I discovered a copy of one of Clarence Major’s early books of poetry, Symptoms & Madness, which Corinth Books published in 1971. It is a first edition too. In the past year I’ve also found very good copies of poetry books by Bruce Weigl (Sweet Lorain) and Lisel Mueller (All Together), the latter from Howard’s, which is located near the Foster Street el stop, and the former book at Amaranth, which is just around the corner from the Davis Street el and Metra stations. The other day I was poking around Amaranth’s poetry shelves, and I came across a book I was previously unfamiliar with – Michael Anania’s early poetry collection The Color of Dust (1970) from the Swallow Press, then a going concern in Chicago. Anania was a going concern in Chicago for many years too, being the poetry editor of Swallow, among other places, and a professor as well. I picked up The Color of Dust with the idea of perusing it casually and then putting it back on the shelf. An hour later I was still reading it. From the very first poem, there is a compelling voice speaking to us. Michael Anania does not write so much of personal feelings as he evokes a time and place – a geography – to create an emotional landscape for the reader. The words are very precise, exactly placed, like the rip-rap of a Gary Snyder poem, though the poets who now come to mind reading Anania are Charles Olson and Elizabeth Bishop, two geographic poets if ever there were ones. Place does not create mood so much as it is its own kind of experience, with the rhythm of place driving the poems. In that sense, I was also reminded of such a disparate, anomalous work as Last Year at Marienbad by Robbe-Grillet, another geographer, but of prose, which in turn led me to Guy Davenport’s Geography of the Imagination. Of course, Michael Anania’s voice is quite different from these writers, but they all share an obsession with the outward which geography typically is. Anania’s voice is quite subtle, never overly lyrical, therefore deceptively plain, and yet resonating long after the poem is read. In fact, his poems are brilliantly lyrical, even if not at first obvious in their musical qualities. They sing with great confidence, surely and confident and yet quietly. Take the opening poem in the collection. Everything is working – and to great lyrical effect. Even the word “grey” in line 4 creates a geographical mood, American “gray” not being sufficient to convey the poet’s gloom. It is almost as if “grey” is even more gloomy than “gray,” and it is, at least in the way that Anania uses it. Having studied at Buffalo in its heyday when Robert Creeley and Charles Olson were there or, at least, I presume Anania was there around the time that the Black Mountaineers were present in Buffalo, there is an historical basis perhaps to the geography of these poems, and the historical juncture would be with projective verse. Anania’s poems are certainly figures of the outward, in that geographical sense that Olson articulated it in his Maximus Poems. Robert Creeley was no mean geographer either or perhaps I mean that he was nothing but a mean geographer. That day in Amaranth bookshop on Davis Street in Evanston, I wound up putting The Color of Dust back on the shelf, being skint and unable to afford it. But by some quirk of the gods, I acquired a copy by another means shortly thereafter I first came across the book, and so have been merrily reading it. My second thoughts about the book resemble my first impressions, which is to say I remain wildly enthusiastic about these poems. Geography is what these poems are about. give no emblem, figured name. The landscapes of these poems are some of the earliest signs of the Rust Belt forming in the American heartland. At least, rust is the patina on all the poems, making them almost sculptural pieces in those landscapes of the mind. What people remain in these industrial brown fields are soldiers, Polish grandmothers, workers, and downtrodden women, nearly hopeless in their orbits. Yet the main characters are not these figures or even the poet himself, but rather the solitary geographies of Michael Anania’s imagination. is called Devil’s Slide, sometimes Suicide Hill. the river road, the silt flats. M.G. 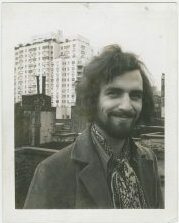 Stephens is the author of eighteen books, including the novel The Brooklyn Book of the Dead (“a great, great book,” says Roddy Doyle), and the essay collection Green Dreams, which Joyce Carol Oates picked as one of the notable nonfiction books of the 20th century in Best American Essays of the Century. Thanks for this interesting discourse on bookstores, very informative. And thanks for introducing me to Anania, I am a big fan of Olson (I am reminded of Ahania, that abstract character in Blake’s imaginative cosmos, since I am studying Blake at the moment). Unfortunately, I am in a place that has a paucity of bookstores and so I have to rely on the university’s central library to fulfill my need to read poetry. It is a fantastic library because it needs a competent shelf reader to put it in order, not to mention a book bindery, and I have come upon at least one very interesting mis-shelved book, rather mis-cataloged. I was in the geography section when lo and behold, up on the shelf, I found Miller’s Tropic of Cancer. No lie! Guy Davenport’s Geography of the Imagination you mentioned. One of the most interesting facts I remember from it is it that the last names Tolkien gave the Hobbits he got from family names in West Virginia! Like Baggins. That is a brilliant image. Very accurate, I can see it in my mind, from my childhood days in Columbus, Ohio where the elm trees still vaunted the skies before the Dutch Elm disease got them.